Christmas 2011. 2012 and 2013 - Great Ormond Street Christmas card appeal. 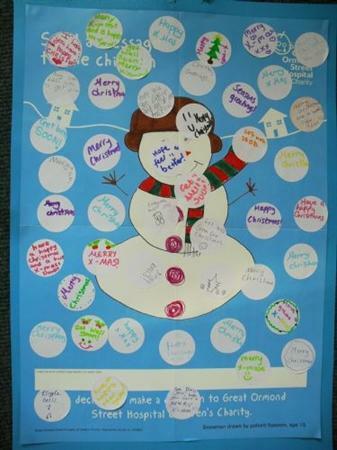 Instead of sending Christmas cards we decorated a poster with messages at the price of £1 per message. We donated the money to the Great Ormond Street christmas card appeal.